The mechanical grip is good with the Ferrari. Watch the videos in detail. In fact it has better mechanical grip than the mercedes. Where i think it is failing is turn in after braking and mid corner; the front end of the car just isn't strong. When it does leave the corner, it actually accelerates quite well on exit, so i think the grip is fine. The problem is aero balance and maybe overall downforce. The front wing is designed very high in the middle section between the wheels. This is compensation for the small surface are at the outerpart of the wing. So the wing makes similar downforce as the mercedes front wing, it is just distributed differently. The problem is that it makes the downforce between the wheels and downstream of that is the bargeboards. Maybe what is happening is that this highly cambered wing in the middle is resulting in poorer quality air flow between the fronts wheels and towards the barge boards than is the case with the mercedes. For mercedes and redbull the downforce of the front wing is evenly distributed across its width, and they dont have this agressively cambered middle section which means they have less disturbed flow going between the wheels and onto the barge baords. 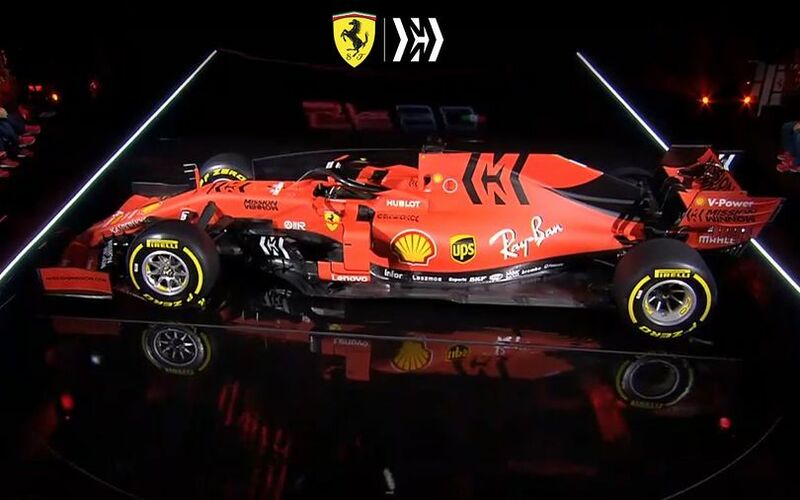 For ferrari to address this, they would require a front wing similar to mercedes, or do some more work on the barge boards. I think they can roll something out in 4 race's time. to add to promoting more flow to the barge board area, they can opt for a mercedes type nose tip that is narrow. Last edited by Marble on Mon Apr 15, 2019 11:27 am, edited 2 times in total. 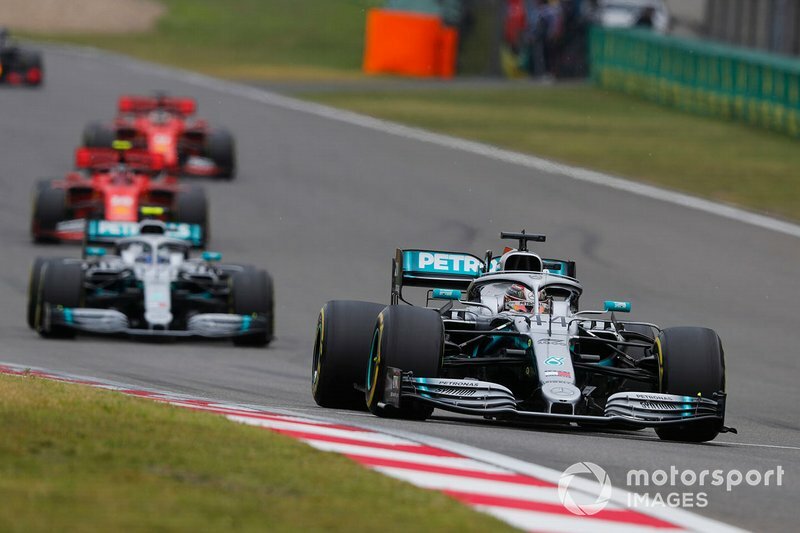 Correct me if I'm wrong but Merc were faster in every single corner mate. Even in the fastest. 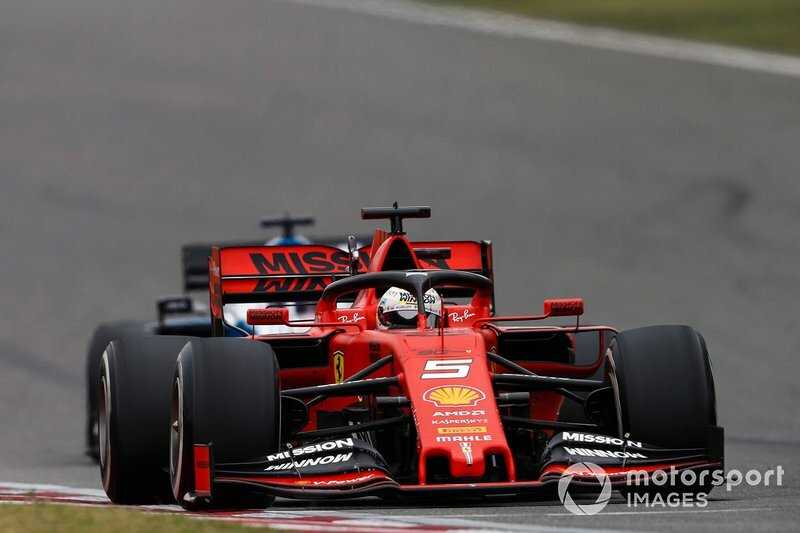 Is it me or the Ferrari have a more negative camber angle on the front left compared with the right one? Also, the camber looks to be a little more than what RedBull or Mercedes have. 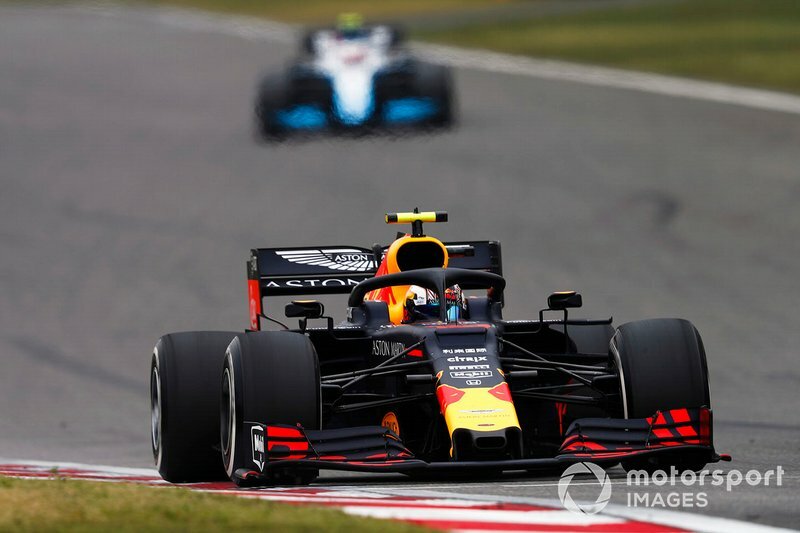 I suspect they don't have enough downforce on the front so they made the suspension softer and more camber on the left so that they could lean more on it. Problem is the tyre cools faster on the straights. I remember Vettel locking several times at turn 14. Does anyone know what camber they were running? I know this info need to be submitted to Pirelli. I posted this in the Merc thread as well, but the article also has some info. on the Ferrari. According to AMuS, Ferrari can run higher power modes more often over the course of a weekend. That makes sense. The Ferrari doesn't necessarily have more peak power or performance, but they can take more out of it over a weekend. Now, with the very limited power units available, will that affect reliability over the season? Last edited by mmred on Mon Apr 15, 2019 3:26 pm, edited 1 time in total. Look at the velocity graph, The red line being lower means Vettel had to slow more. The only turn Ferrari was faster in (given the resolution of the graph), is turn 12 as you can see at 57ish, and that honestly looks Like a different line more than anything else. Last edited by richardn on Mon Apr 15, 2019 4:58 pm, edited 1 time in total.